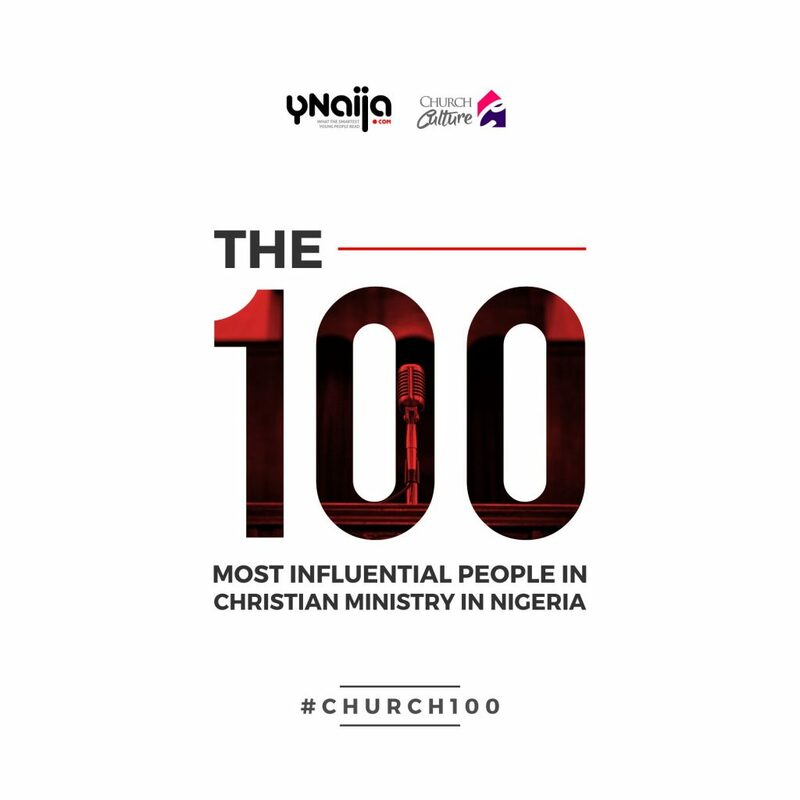 In commemoration of this year’s Easter celebrations, Y!/YNaija.com and Church Culture are excited to unveil the inaugural edition of #Church100 – the 100 Most Influential People in Christian Ministry in Nigeria. This is a select group of Nigerians leading the charge for Christian ministry in contemporary society. Several months in the making, the list has gone through a process of strict examination, evaluation, and review, resulting in #Church100 made up of people leading lives of excellence in various spheres – from churches, to entertainment, and business enterprise. Respected men of God and citizens of the church including Pastor E.A. Adeboye, Revd. Sam Adeyemi, Fela Durotoye, Ibukun Awosika amongst others are listed based on their dedication and commitment to the body of Christ and spreading His message of salvation. See below the #Church100, presented in alphabetical order. Ada Ehi: Ada Ehi is a gospel singer who has been actively involved with the music ministry of Christ Embassy where she worships with her family, ministering with the choir and Pastor Chris Oyakhilome around the world. Adewale Aladejana: Adewale Aladejana is a new media evangelist who sees social media as a veritable channel to promote the Gospel of Jesus Christ. A certified Social Media Strategist from the prestigious Medill School of Journalism, Northwestern University, Evanston, Illinois, USA, Aladejana also has a B.Sc Mass Communications with majors in Public Relations and Advertising from Bowen University. Anthony Okogie: Anthony Olubunmi Okogie is a Nigerian Cardinal Priest and former Archbishop of Lagos in the Roman Catholic Church. He is widely considered to be Nigeria’s best hope at producing a pope. Arome Osayi: Apostle Arome Osayi is the Founder of Remnant Christian Network (RCN), a non-profit Christian organisation with a network of Apostolic centres, Churches and Mission outreaches in Nigeria and Europe. Ayo Oritsejafor: Ayodele Joseph Oritsegbubemi Oritsejafor is the founding and Senior Pastor of Word of Life Bible Church, located in Warri, Nigeria. He became the National President of the Pentecostal Fellowship of Nigeria in 2005, a position he held for five years. In July 2010, Oritsejafor was elected as the President of the Christian Association of Nigeria (CAN). Benita Okojie: A former child star, Benita Okojie continues to deploy media and entertainment as tools for the propagation of faith, with her music career as well as her YouTube vlog where, along with her sister Bella-Rose, she discusses relationships as they pertain to young Christians. 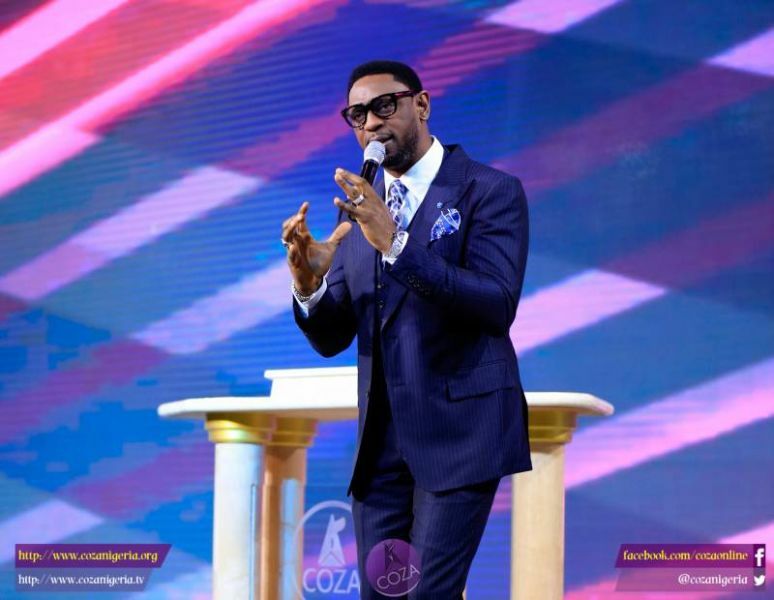 Biodun Fatoyinbo: Pastor Biodun Fatoyinbo is a leader and founder of the Commonwealth of Zion Assembly (COZA) church in Abuja. Bola Odeleke: Bola Odeleke is a Nigerian pastor, evangelist, preacher, founder and general overseer of Power Pentecostal Church. She became the first African woman to attain bishophood on May 28, 1995. Chioma Jesus: Amaka Okwuoha is an Evangelist whose journey began in her local church choir at the age of 9. Since then, she’s gone on to become one of Nigeria’s most prominent gospel singers and launch the Inheritance of Mercy Foundation in Port Harcourt, Rivers State. Chris Okotie: Christopher Oghenebrorie Okotie is a Nigerian televangelist and the pastor of the Household of God Church International Ministries. Before his work with the Church began in 1987, Okotie was widely known for his successful pop music career. He is also a former Nigerian presidential candidate. Chris Oyakhilome: Another early adopter of media as a tool for ministry in Nigeria, Chris Oyakhilome came to mainstream prominence through his Atmosphere for Miracles television programme. He is the founding president of the Believers Loveworld (Christ Embassy Church) and his ministry oversees several arms including the Healing School, Rhapsody of Realities, LoveWorld Books, and an NGO called the Innercity Missions for Children as well as three Christian television channels: LoveWorld TV, LoveWorld SAT and LoveWorld Plus. Cobhams: As one of Nigeria’s most prolific songwriters and producers, Cobhams Asuquo is one of the Nigerian music industry’s most recognizable names. An unabashed Christian, Cobhams is part of a group of prominent entertainment professionals, using both their work and personal lives as tools for the propagation of the gospel. David Abioye: Bishop David O. Abioye is a Pastor of long standing experience under the ministry of his life-time mentor, Bishop David Oyedepo/ Bishop David Abioye is presently the Senior Pastor of Living Faith Church, Goshen City, Km 26 Abuja-Keffi Road – Nigeria, West Africa. David Ibiyeomie: Pastor David Ibiyeomie is a Nigerian pastor, televangelist and author. He is the founder and senior pastor of Salvation Ministries, in Port Harcourt, Nigeria. David Oyedepo: One of Nigeria’s leading religious figures, Bishop David Oyedepo is the founder and leader of the Faith Tabernacle, the headquarters of the Living Faith Worldwide Ministry, popularly known as ‘Winners Chapel.’ In addition to his work as an author and a preacher, Oyedepo serves as Chancellor of Covenant University and Landmark University. Debola Deji-Kurunmi: A prominent member of Nigeria’s Christian youth, Debola Deji-Kurunmi is the Head of Foundation Initiatives at the RegCharles Foundation and the brain behind Deborah Initiative for Women. DK Olukoya: Dr Daniel Kolawole Olukoya is a Nigerian scientist, clergyman and founder of Mountain of Fire and Miracles (MFM). EA Adeboye: Popularly known as ‘Daddy GO’ Enoch Adejare Adeboye has served as General Overseer of the Redeemed Christian Church of God since 1981. Although he handed over the reins of the Nigeria church to Pastor JO Obayemi in January 2017, he still functions as General Overseer of the Worldwide Ministry. Eben: Emmanuel Benjamin, popularly known as Eben, is a popular gospel musician with a unique genre he pioneered and calls Afrocentric rock. He is the CEO of Hammer House of Rock, as well as Hammer House Ventures which is focused on video and music production, event management and interior decoration. Ejike Mbaka: Father Ejike Cornelius Anthony Mbaka is a priest of the Catholic Church ordained in the Catholic Diocese of Enugu. The resident priest at Our Lady’s Parish in Emene, Enugu State, he is also the founder and Spiritual Director of Adoration Ministry Enugu Nigeria. 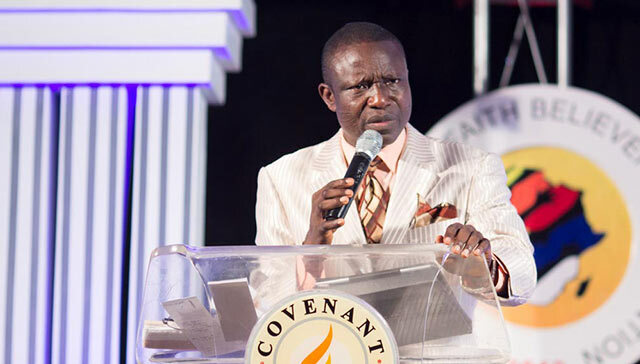 Elijah Oludele Abina: Elijah Oludele Abina is a pastor and the General Overseer of The Gospel Faith Mission International (GOFAMINT) and one of the founding fathers of the Pentecostal Fellowship of Nigeria (PFN). Eno Michael: A mainstay of the House On The Rock choir, Eno Michael is a gospel singer and songwriter. She’s been a professional musician since February 2012, since which time she has shared stages with artistes like Sammie Okposo and Freke Umoh. Eziaha Bolaji-Olojo: ‘Coach E’ is a UK Certified Health and Fitness Coach. In addition to being an author, she is the CEO of CoachE’Squad and SavedFitFAB and, in addition to running a Christian blog [www.eziaha.com] also runs an Online Mentoring Academy for young women called The FAB Sistership. Faith Oyedepo: Faith Abiola Oyedepo was already a firm believer in the power and importance of sharing the word of God. However, a near-death experience left her with a renewed zeal to impact the world through faith. A renowned author, she is considered by many an authority on issues relating to marriage and family. Feb Idahosa: Bishop Feb Idahosa II is the President of Benson Idahosa University and the Bishop of Faith Arena, the headquarter church of Church of God Mission, founded by his late father, Archbishop Benson Idahosa. He also serves as president of Benson Idahosa University, Benin City. 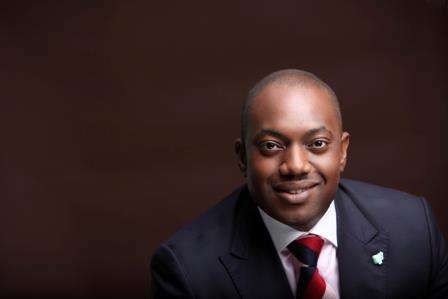 Fela Durotoye: Perhaps Nigeria’s most renowned and accomplished motivational speaker, Fela Durotoye is the CEO of Visible Impact Limited,a social enterprise set up to tackle social and environmental challenges and limitations. He is widely regarded as a nation builder, an internationally acclaimed national development strategist, and a bestselling author. Felix Meduoye: Felix Meduoye is the current General Overseer of the Foursquare Gospel Church in Nigeria.In addition to his work as a Pastor, he is also a Bible scholar, a teacher and an international conference speaker. Folu Adeboye: Pastor Foluke Adeboye, in addition to serving alongside her husband in the Redeemed Christian Church of God, has made immense contributions to the Nigerian Education sector, coordinating work in the field of Christian Education, by starting a vigorous movement (Christ the Redeemer’s Schools Movement) that has led to the founding of several Christian Educational institutions caring for the educational welfare of children in Nigeria and Internationally.She has held top leadership positions in the church including President of the Redeemed Women Fellowship (God Women Fellowship), Director of Education, among many others. Frank Edwards: Frank Ugochukwu Edwards is a Nigerian contemporary Christian singer-songwriter and recording artist. He is the founder and owner of the record label Rocktown Records, which is home to recording artists such as Edwards himself, Gil, Divine, King BAS, Nkay, and David among others. Funke Felix-Adejumo: Funke Felix-Adejumo is the president of Funke Felix Adejumo Foundation. Also an accomplished pastor, teacher and public speaker, she involved in advocacy through the established Grace Orphanage, and The Children’s Hospital. Funmi Bucknor: Olufunmilola Bucknor is a Nigerian gospel singer who debuted in the Easter of 2016 with a ballad titled ‘Lamb of God’. Funmi Johnson: Funmi Johnson leads The Capstone (Church Without Walls) with her husband Tokunbo Johnson. In addition to this, she is the Convener, The Secret Black Book Of Wealth (TSBBW) seminars, as well as the ‘Couples Breakfast’, an outreach that seeks to build formidable homes and families. Gabriel Olutola: Gabriel Oladele Olutola is a Nigerian-born author, pastor and motivational speaker. He is the President of The Apostolic Church Nigeria and Chairman, Lagos, Western and Northern Areas (LAWNA) after he was inducted simultaneously into both posts in 2011 and 2009 respectively. George Adegboye: George Adegboye was a Lecturer at the Kwara State Polytechnic, Ilorin before he went into full time ministry. He is the founder of Rhema Chapel International Church. Gloria Bamiloye: Gloria Olusola Bamiloye is a Nigerian actress, producer and director. She is a co-founder of Mount Zion Drama Ministry which she heads with her husband, Mike Bamiloye. She is also an author, publishing a book titled “The Anxiety of Single Sisters” in 2002. Glowreeyah: Gloria Braimah is a lead vocalist in the Lagos Metropolitan Gospel choir of the House on the Rock church. A prominent gospel musician, she also has a keen interest in advocacy and founded an NGO/Foundation which will seek to work with other relevant stakeholders to promote Personal Social Responsibility in young people. Godman Akinlabi: Godman Akinlabi is the lead pastor of The Elevation Church (TEC) Lagos which he founded on the 10th of October 2010. He also works as a public speaker, trainer and consultant, with a particular focus on the role of the church in the development of the African continent. Helen Ukpabio: Helen Ukpabio is the founder and head of African Evangelical franchise Liberty Foundation Gospel Ministries based in Calabar, Cross River State, Nigeria.In 1992, Ukpabio founded Liberty Foundation Gospel Ministries with the aim of spreading her interpretations of the Bible to the people of West Africa. Idowu Iluyomade: Pastor Idowu Iluyomade is the provincial pastor of Lagos Province 4, and a practicing lawyer who presently combines his legal practice with his ministerial responsibilities as the Pastor-in-Charge of The Redeemed Christian Church of God (City of David) and the Regional Pastor, Region 20. He also serves as the head of the Apapa Family, proprietors of Excel Charity Foundation, a social intervention vehicle with a focus on transforming lives, restoring dignity and reforming society. Ibukun Awosika: Ibukun is a co-founder and past chairperson of Women in Business, Management, and Public Service (WIMBIZ). An ordained Pastor and founder of the Christian Missionary Fund; Ibukun, through this faith-based organization works with hundreds of missionaries spread across Nigeria to change lives through provision of medical, educational, and other supplies. Ituah Ighodalo: Ituah Ighodalo serves as the Pastor In Charge of the Trinity House, a non-denominational, free flow Christian worship centre, He is the Publisher/Editor-in-Chief of the TIMELESS Media Group and sits on the board of several charitable organizations and NGOs including the Courage Education Foundation, Eden’s fields Health Initiative, Food Bank Initiatives, The Ituah Ighodalo Foundation and several others. Jahdiel: Grace Jahdiel Okoduwa is a contemporary Nigerian gospel singer and songwriter. She professionally began her music career in 2006, releasing her debut album Heritage in 2008. She is one of several gospel artist under the LoveWorld Music Ministry of Christ Embassy. Jeremiah Omoto Fufeyin: Jeremiah Omoto Fufeyin is the founder and head Prophet of Christ Mercyland Deliverance Ministry (CMDM), Warri, Delta State, Nigeria. He founded the church on 3 April 2010. John Onaiyekan: John Olorunfemi Onaiyekan is a Nigerian prelate of the Roman Catholic Church. He has been Archbishop of Abuja since 1994 and was made a Cardinal in 2012. He has served as President of the Christian Association of Nigeria, President of the Catholic Bishops’ Conference of Nigeria and Bishop of Ilorin. 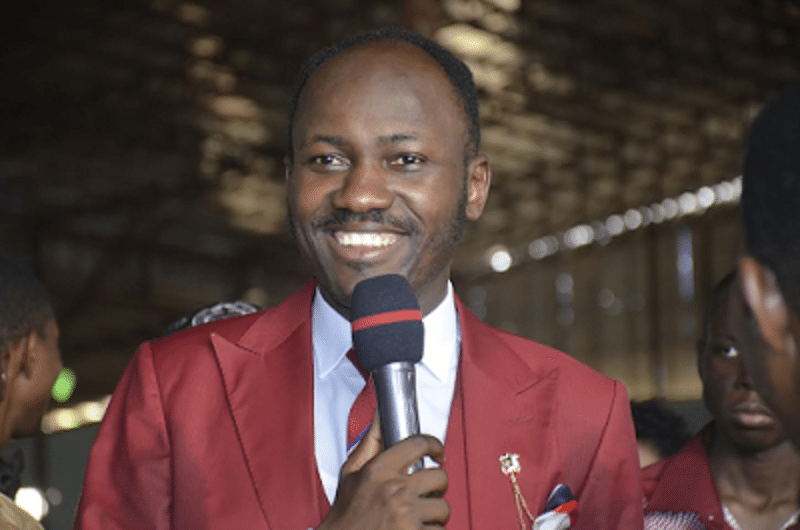 Johnson Suleman: Apostle Johnson Suleman is the President and General Overseer of Omega Fire Ministries International, a church which he established in 2004. Prior to this, he worked as an Assistant Pastor in the Armor of God Church in Lagos. Joseph Obutu: Joseph Obutu is a renowned gynaecologist and the General Evangelist of Motailatu Church Cherubim and Seraphim Worldwide (MCCSW). Julius Agwu: A popular comedian and entertainment professional, Julius Agwu found his life changed after a protracted illness which culminated in a surgical operation on his brain. Filled with a renewed lease on life, Agwu turned his sights towards sharing the gospel through the field of entertainment. Jumoke Adenowo: Olajumoke Olufunmilola Adenowo is an award-winning Nigerian architect, entrepreneur, and philanthropist, as well as a speaker, radio host, and author. An outspoken Christian, she hosts a syndicated radio show on leadership titled “Voice of Change”. Kingsley Okonkwo: Pastor Kingsley Okonkwo says he is “on a mission to school and train people through the word of faith into a life of 100% victory 100% of the time”. He is the leader of the David Christian Center. Kola Oyeneyin: Founder and Chief Executive Office of the Venia Group, Oyeneyin is also the Convener of Generational Voices, a multi-party platform for young Nigerians interested in political engagement. Lala Akindoju: Kemi Lala Akindoju is an award winning actor and producer. Known for her work across stage, television and movies, ‘Lala’ is also a very vocal christian, known for engaging and leading discourse among Christian youth in Nigeria. Lanre Olusola: Lanre Olusola is Nigeria’s Foremost Peak Performance Catalyst, Life Coach and Psychotherapist. Popularly known as ”The Catalyst” he heads Impression Management Consulting, and the Olusola Lanre Coaching Academy, focused on helping people be the best they can be. Lara George: Lara George is a Nigerian gospel singer and songwriter. She began her music career at the University of Lagos, where she joined the campus fellowship choir. She was a member of the disbanded musical group Kush, along with TY Bello, Dapo Torimiro and Emem Ema. Laurie Idahosa: Laurie is a reverend at the Church of God Mission and is also the Senior Pastor of Church Unusual in Benin City. She also works as an administrator in Benson Idahosa University, Benin City, serving as the Director of Campus Life. Along with her husband, she serves as Proprietor of Nathan American Academy and Big Ben Children’s Hospital. Lazarus Muoka: Lazarus Muoka is a Nigerian pastor, minister and author. He is the founder and General Overseer of The Lord’s Chosen Charismatic Revival Movement. Leke Alder: Leke Alder is the Founder & Principal of Alder Consulting, Nigeria’s leading creative intelligence firm with offices in Lagos and London. He is also the creator of Jack&Jill, a relationship community focused on young people, and Illuminare, a platform designed to stimulate intelligent conversations around faith. Mairo Ese: Mairo Ese is a Nigerian gospel musician known for an eclectic blend of R&B and Soul. Beyond his work as a solo artist, Mairo has served in various capacities in different churches. He started out as a chorister, after which he progressed to worship leader and music director in different parishes of the Redeemed Christian Church of God (RCCG), House on the Rock (Jos) and also in different expressions of The House of Freedom. He is currently the Music Director of This Present House. Matthew Ashimolowo: Matthew Ashimolowo is the senior pastor of the Kingsway International Christian Centre (KICC) in London. A firm believer in the potential of the media as a tool for expression of faith, Ashimolowo runs a media company, Matthew Ashimolowo media, which oversees publication of Christian and inspirational literature, as well as the creation and broadcasting of his ‘Winning Ways’ radio and television programmes. MC Abbey: Biodun Olapade, popularly known as MC Abbey, is a performing artist who spreads the message of his faith through his comedy acts. Mike Abdul: Mike Abdul is an accomplished gospel singer, songwriter and music producer. His works with Midnight Crew and other gospel music greats have seen him to many nations, enjoying several enviable platforms, media presence, awards and recognition across borders. Mike Bamiloye: Mike Bamiloye is popularly known for his work in film production. Through his Mount Zion Drama Ministry, Bamiloye deploys the use of entertainment to further widen the reach of his message. Mike Okonkwo: As Presiding Bishop, Mike Okonkwo heads TREM – The Redeemed Evangelical Mission, a church he’s overseen for over 30 years, with about 180 branches in Nigeria and in 10 other countries around the world. Mildred Kingsley-Okonkwo: Mildred Kingsley-Okonkwo is a pastor at the David Christian Center, which she heads along with her husband Kingsley. Monique Temitope: Temitope Monique Lawal took to music when she was just 9 as a vocalist with her church choir. Today she has an accomplished music career, having led various choirs like The Redeemed Christian Church of God (RCCG) Life Gate Assembly. She currently serves as the music director of RCCG in his presence. 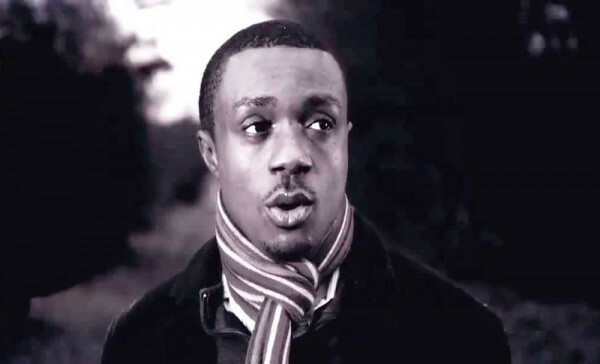 Nathaniel Bassey: A graduate of Politics and International Relations at the University of London, Nathaniel Bassey is an influential gospel musician who also serves as the director of music at the RCCG; The King’s Court. He led the first Jazz Orchestra in the country called “The Steve Rhodes Orchestra”. Before breaking through the music scene, he was a band leader and trumpet player. Nike Adeyemi: Wife of Pastor Sam Adeyemi, Nike Adeyemi is an important voice in her own right. An author, seminar facilitator and television host (‘Real Woman with Nike’), she runs the Real Women Foundation, a motivational and healing ministry for women, which includes an orphanage and a rehab center. She also co-founded the Daystar Christian Center with her husband. Nikki Laoye: Nikki Laoye is a Nigerian singer and songwriter, known widely for her gospel and gospel-inspired music. Nosa: Nosa Omoregie is a Nigerian recording artist, singer, songwriter and performer. His debut studio album, Open Doors, was released on 14 March 2014 and supported by the singles “Always Pray for You”, “Why You Love Me” and “Always on My Mind”. Obiwon: Obiora Nwokolobia-Agu is a singer, musician, songwriter, recording artiste, music minister and evangelist. 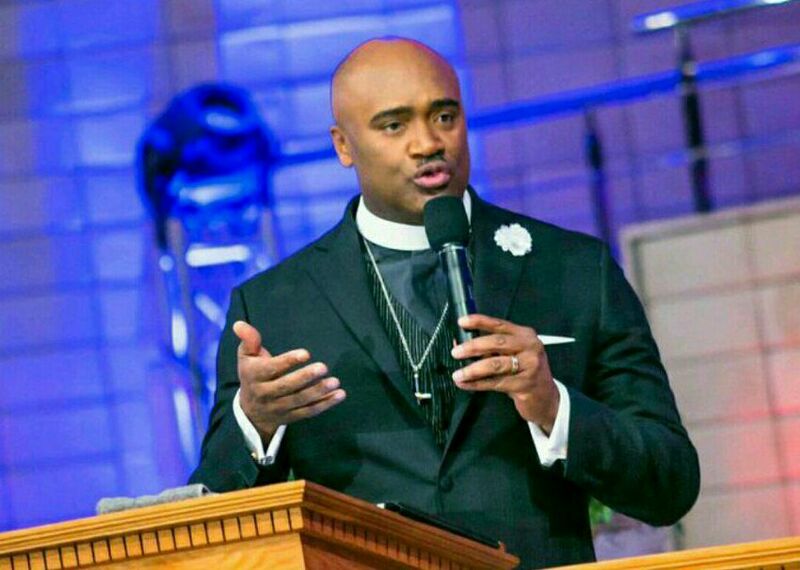 Paul Adefarasin: Paul Adefarasin founded the House on the Rock church, a ministry with over 40 daughter churches in Europe and Africa. He also started the Rock Foundation which collaborates with the church social and humanitarian services like rehabilitation and empowerment for disenfranchised members of society. Peter Akinola: Peter Jasper Akinola is the former Anglican Primate of the Church of Nigeria. He is also the former Bishop of Abuja (Nigeria’s capital) and Archbishop of Province III, which covered the northern and central parts of the country. 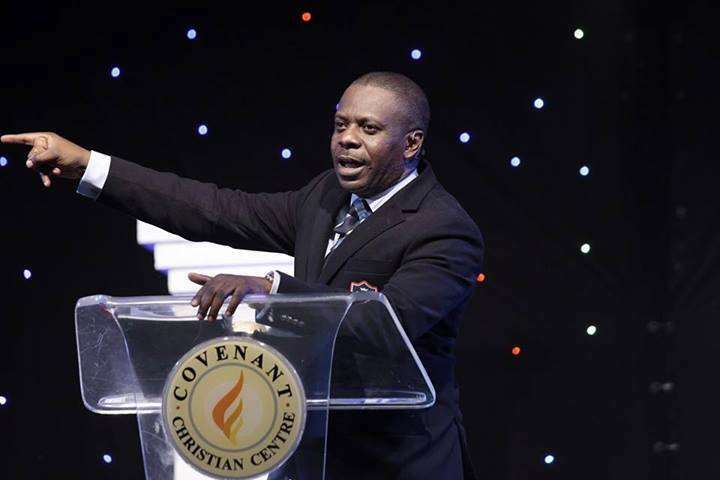 Poju Oyemade: Senior Pastor of the Covenant Christian Center, Poju Oyemade is a particularly influential voice among Christian youth in Nigeria, making sense of an ever evolving society and navigating ways to reconcile that with their faith. In addition to his Faith Seminars, Singles’ Summits and WAFBEC annual conference, he’s widely known for his embrace of the media, with his ‘Insights For Living’ and ‘The Quantum Leap’ television programmes which air several times weekly, in and outside Nigeria. Sam Adeyemi: Founder of the Daystar Christian Center in Lagos, Sam Adeyemi is a pastor and a motivational speaker with a special focus on positioning people for success and leadership. The 50-year-old native of Kogi State is also the founder of the Daystar Leadership Academy, and is an important voice among the Christian youth in Nigeria. 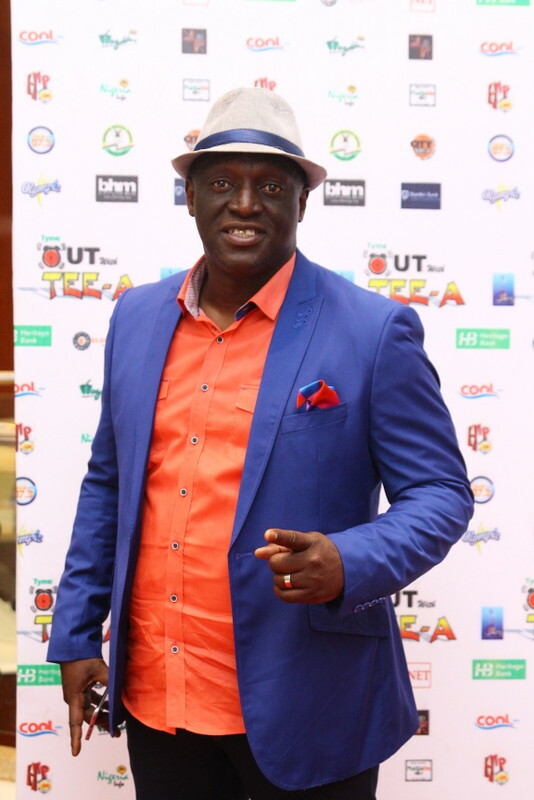 Sammie Okposo: Sammie Okposo is a motivational speaker, multi-instrumentalist, vocal coach, music producer/director, entertainment consultant, and MD/ceo of zamar entertainment and Sammie Okposo Hope Initiative. Sarah Omakwu: Pastor Saram Omakwu is the Senior Pastor of Family Worship Centre, Abuja, as well as host of the radio program ‘Moving Forward with Pastor Sarah’/ She is also a prolific public speaker, ministering regularly locally and internationally. Siju Iluyomade: Siju Iluyomade is the convener of the Arise Women’s Conference, an annual event which regularly sees amongst its attendees, Ministers, First Ladies and other powerful women, and has a vision toward “accelerating nation building through the empowerment of women in the society”. 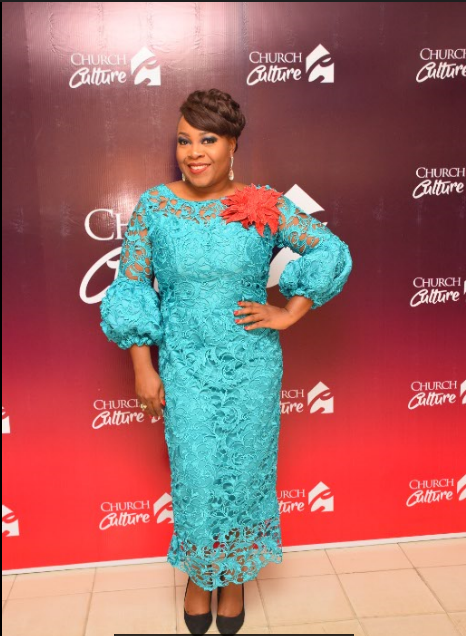 In addition to being a Pastor of the Redeemed Christian Church of God, she is also a lawyer, and is married to Pastor Idowu Olusola Iluyomade. 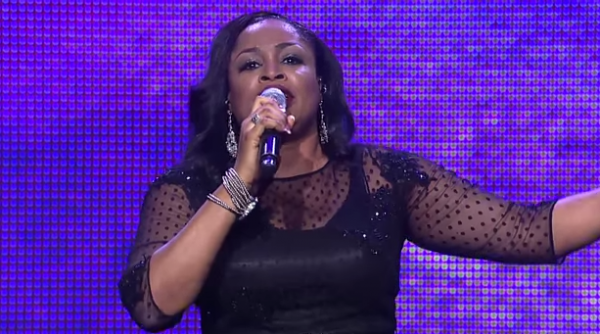 Sinach Joseph: Sinach Joseph is one of Nigeria’s most prominent gospel singers today. Also a prolific songwriter, she’s estimated to have written over 200 songs, many of which are regular fixtures in Nigerian church services. Solomon Alao: Dr. Solomon Adegboyega Alao is the head of the Sacred Order of Cherubim and Seraphim Unification Church of Nigeria. Sunday Mbang: Former President of the Christian Association of Nigeria (CAN), His Eminence, Dr. Sunday Mbang, is also the former Prelate of the Methodist Church, Nigeria. Supo Ayokunle: Olasupo Ayokunle is a pastor, teacher and sociologist. He was a Pastor at the Estate Baptist Church, Oyo State between 1992 and 1995. He later moved on to become a Pastor at the Jubilee Life Baptist Church, Ibadan, during which time he became President of the Nigerian Baptist Convention in 2011, a position he still holds. 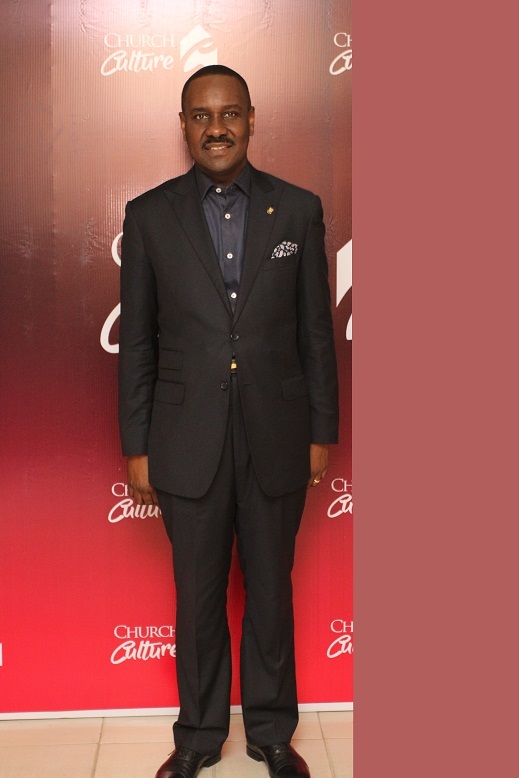 Taiwo Odukoya: Senior Pastor of the fountain of life church, Taiwo Odukoya is also a public speaker and an author. Spurred by a firm belief in the role of the church in society, he is regularly involved in community outreach projects including a hospital, an orphanage, a school for destitute children, a farm, a water project which provides boreholes at strategic locations for people who have no access to clean and potable water, and a skill acquisition and entrepreneurial institute for the less privileged. 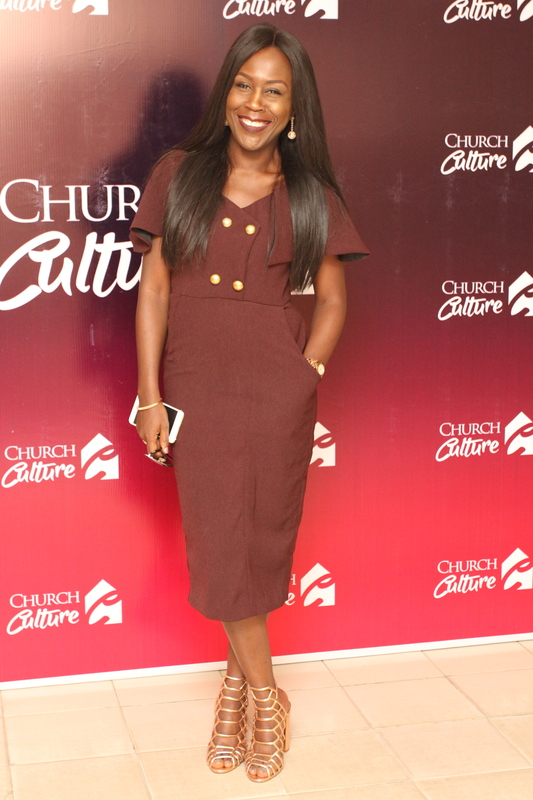 Tara Fela-Durotoye: “There is a commission and an assignment that as christians we have been sent on, and my business is part of that assignment” – A quote by beauty entrepreneur, Tara Fela-Durotoye, encapsulating her approach to faith and business. Tara sits atop a huge beauty empire in the form of the House of Tara brand, and is a firm believer in the power of using business as a means by which to express and share faith with the world. TB Joshua: Temitope Balogun Joshua is a Nigerian Pastor, televangelist and philanthropist. He is the leader and founder of The Synagogue, Church of All Nations, as well as the Emmanuel TV television station. Tim Godfrey: Tim Godfrey is a gospel singer, songwriter and music director. He also works as a voice instructor, conference speaker, writer, arranger, multi-instrumentalist, producer, presenter, music and Art training consultant. He is the coordinator for the Tim Godfrey and the Xtreme Crew gospel group. 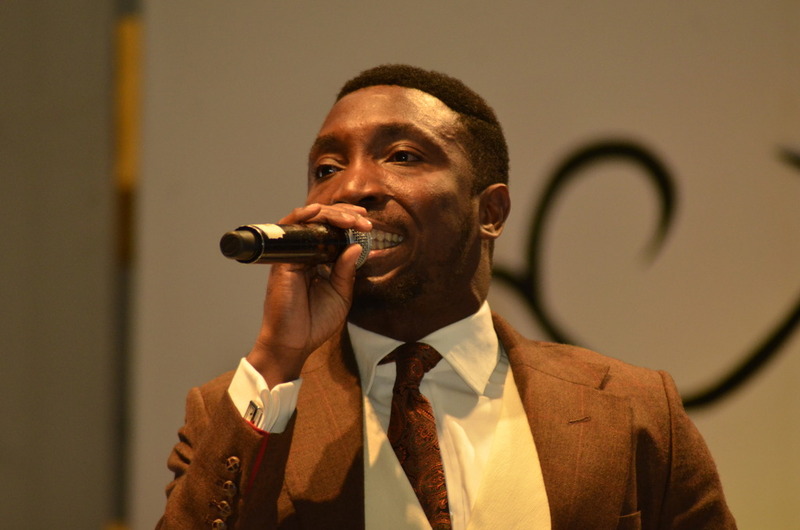 Timi Dakolo: Timi Dakolo isn’t exactly known for singing about the gospel. However, as a public figure never hesitant to speak of his faith, Dakolo serves as a reminder that singing Gospel music isn’t the only way for a musician to honour their faith. Tokunbo Johnson: Tokunbo Beulah Johnson is a cross functioning Apostle who switches roles as Church Apostle,New Media Consultant and Personal Vision Development Engineer.A Graduate of The School of Developing Prophetic Gifts, he is founder and leader of the Capstone (Church Without Walls) in Lagos and is considered one of the cutting-edge prophetic voices in christian ministry in Nigeria. Tony Rapu: A medical doctor and a social entrepreneur, Pastor Tony Rapu is the senior pastor of the House of Freedom, the umbrella under which This Present House and The Waterbook sit. He also heads the Freedom Foundation, a non-profit working towards social transformation and human security. Tope Alabi: One of Nigeria’s most noteworthy and respected artists, Tope Alabi sits in the upper echelons of Nigeria’s gospel music industry. Popularly known as ‘ore ti o common,’ she is the brain behind countless Yoruba movie soundtracks. Tunde Bakare: Besides being a popular pastor and evangelist with the Latter Rain Assembly, Tunde Bakare is also a prominent figure in the Nigerian political landscape. An early adopter of media as a tool for ministry, he became quite prominent for his televangelism through his “Moment of Truth” programme. Tunde Lemo: Tunde Lemo served as Deputy Governor of the CBN between the years of 2004 and 2014, but in addition to his accomplished career in Finance, also serves as a minister in the Foursquare Church, as well as a freelance Pastor. 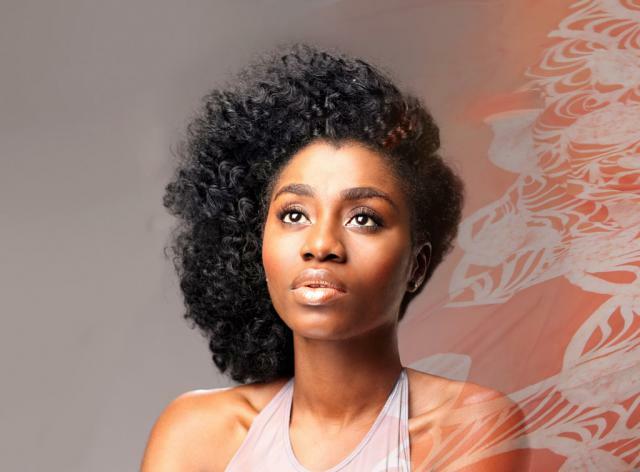 TY Bello: An acclaimed singer and songwriter, TY Bello is one of Nigeria’s foremost gospel musicians, every new release from her an event of its own. An accomplished photographer as well, all of TY’s work is laced with her strong feelings about her Christian faith. Victor Adeyemi: Reverend Victor Adeyemi is the founder and senior pastor of Global Harvest Churches with branches in Nigeria and abroad. 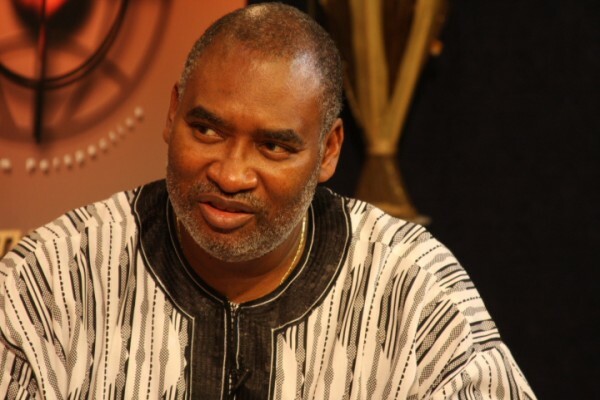 Wale Adefarasin: Pastor Wale Adefarasin is the General Overseer of Guiding Light Assembly, a ministry that was established on March 1985. Wale Adenuga: Pastor Wale Adenuga is a singer, song writer, social entrepreneur, public speaker and pastor-in-charge of the Redeemed Christian Church of God (RCCG), Jubilee Christian Centre, Lagos. With over two decades’ experience of ministering the gospel through music, he is the convener of the annual ‘Worship for Change’ concerts. Wale Oke: Bishop Wale Oke is the founder and presiding Bishop of The Sword of the Spirit Ministries, also known as Christ Life Church with a 15,000-member headquarters in Ibadan. An author and an evangelist, he is the founder and visioner of Dorcas Oke Hope Alive Initiative. WF Kumuyi: In addition to his prolific work as an author, William Folorunso Kumuyi is the founder and General Superintendent of the Deeper Life Bible Church, Nigeria. Wole Soetan: Wole Soetan is part of the leadership of the popular Commonwealth of Zion Assembly church in Nigeria. As the resident Pastor of the Ilorin (Kwara) branch of the church, he is reputed for his ability to recall a “scripture for any possible situation”. Yemi Osinbajo: It’s easy to forget that, before he became one of Nigeria’s most important political figures, Oluyemi Osinbajo was one of Nigeria’s most important religious figures. Pastor in charge of the Lagos Province 48 (Olive Tree provincial headquarter) of The Redeemed Christian Church of God, Ikoyi. Yemisi Ashimolowo: Pastor Yemisi Ashimolowo is the Resident Pastor of KICC (Headquarter Church) and the head of KICC’s Winning Women ministry. I AM BASSEY AYI B., I LOVE UR EFFORTS BUT AS OTHER PEOPLE SAID THERE ARE SOME GOD’S GENERALS DAT U DIDNT INCLUDE DAT NEED 2 APPEAR ALSO. PLS REDO IT AND CONSIDER OUR COMMENTS. THANK U AND MORE GRACE. As far as am concerned. This list is totally incorrect without names such as Apostle Joshua Selman Nimmak and Pastor Dan Onuoha. These are angels sent in our time. THIS IS TOTAL FAKE, WHERE IS APOSTLE JOSHUA SELMAN, PASTOR PAUL ENECHIE? Dr Paul Eneche, Gbile Akani, Apostle Joshua Selman. where is apostle joshua selman nimmak of eternity network international?! Nice list, but without Dr Paul Enenche, Apostle Joshua Selman, Prophet Babs Adewumi, the list needs a reviewing. Besides, what is even the essence of such list? I didn’t even see Steve Crown. Funto Ibuoye should be on this list! Just how did Eziaha get there and Funto isn’t also there?